How many times have you been leafing through paperwork only to lose track of where you stopped? Book Darts are the little solutions to these common annoyances. 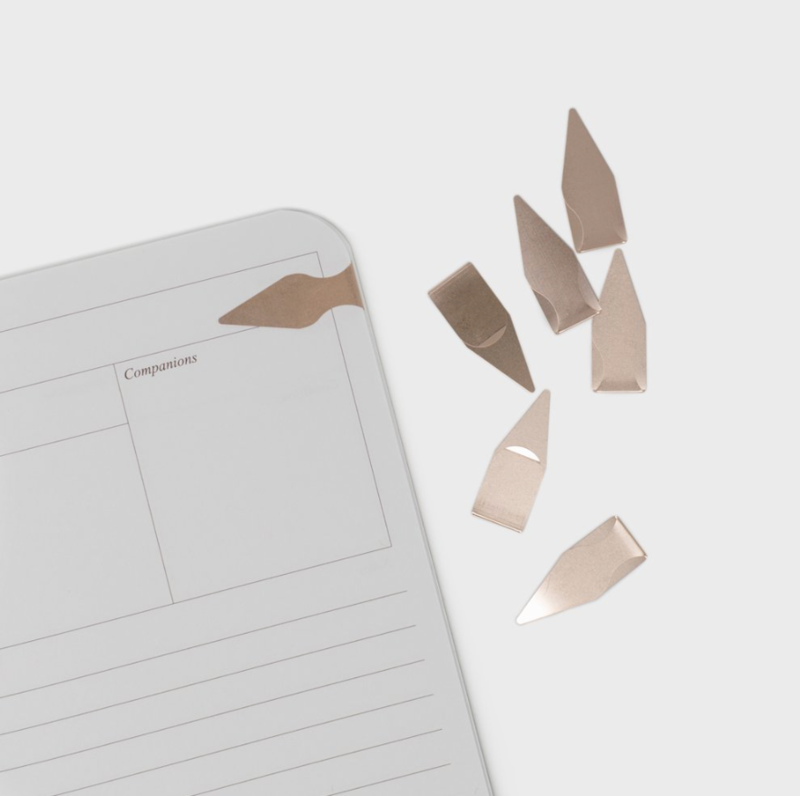 Instead of acting like a bookmark and marking the page where you stopped reading, Book Darts mark the exact line. 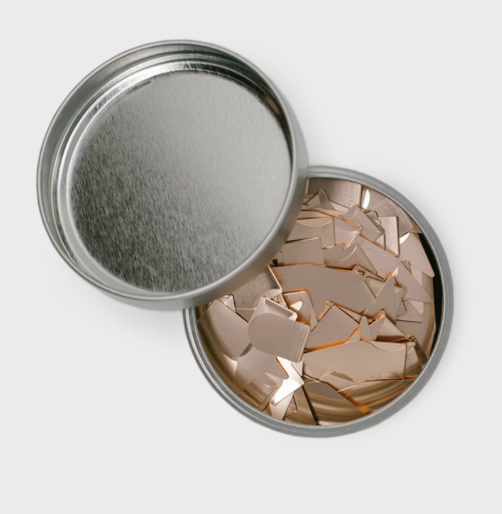 This tin of 125 bronze Book Darts will transform the way you consume literature forever. Keep tabs on where you stopped. 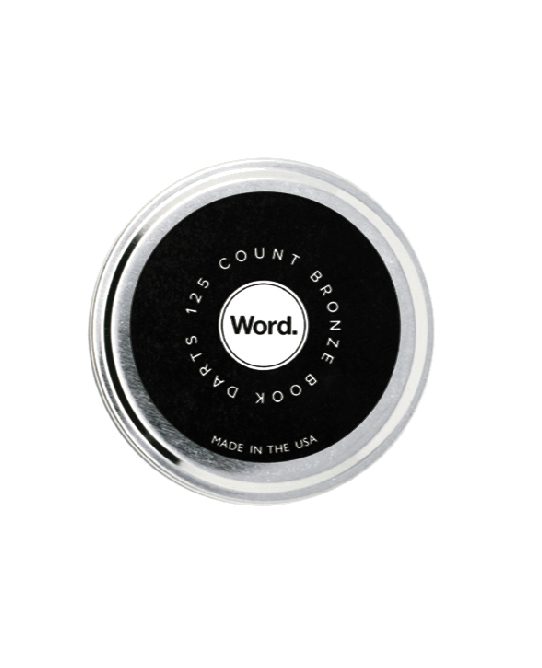 Pick out your favorite lines without defacing the page with a highlighter. Help clients find all the spots they need to sign. 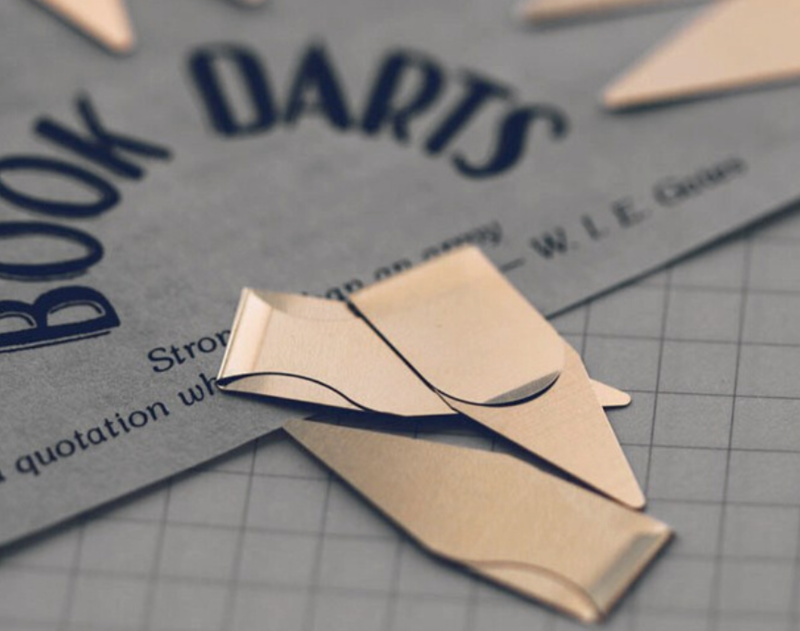 However you choose to use these made in the USA Book Darts, they’ll assist you for years to come.